Three died when a big rig smashed into an SUV on an icy, Vermont mountain road, according to police Dec. 30. 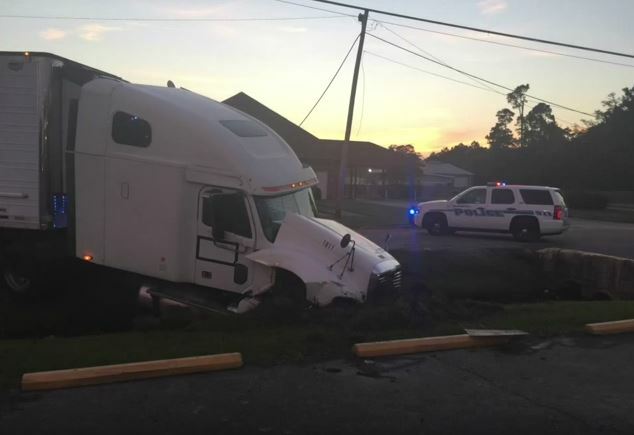 The Vermont State Police stated that Lawshawn Jones, 41, from Alpharetta GA was driving his big rig east on Route 4 when he lost control on the slick road and slammed into an SUV going in the opposite direction. The SUV driver and his wife, from Hastings on Hudson NY, died in the wreck. Three children in the SUV had minor injuries, as did the truck driver. The accident investigation continues, and charges have not been filed yet. Our Virginia trucking accident legal team is very sorry to hear of this tragedy. Commercial truck drivers must use extreme caution when they are driving in less than ideal conditions, or tragedy can strike. At the very least, the surviving family members can file a wrongful death lawsuit and hopefully replace some of the income that their parents would have earned in future years. With the representation of a strong Virginia injury lawyer, they also may be compensated for their pain, suffering and mental anguish. Our lawyers who specialize in truck crashes in Virginia and North Carolina have worked on similar cases as the above. We once represented a family who lost their husband and father to a tractor trailer. The truck driver miscalculated the distance from his vehicle to the car in front of him. He clipped the car’s rear, and it flipped, killing our client instantly. Our Virginia injury lawyer team filed the lawsuit quickly in this case to preserve evidence related to the cause of the crash. We also found a venue where the defendant’s subsidiary company was situated. Then, we brought in a grief counselor who interviewed the family, and she submitted a report to the court that demonstrated the loss the family had suffered. The grief counselor was so effective that defense counsel tried to have the testimony excluded from trial. Eventually, the case was settled by a mediator for $2.4 million. Any attorney who represents someone in a wrongful death lawsuit for a truck crash in Virginia or North Carolina needs to have this type of tenacity so you obtain the maximum settlement or verdict.